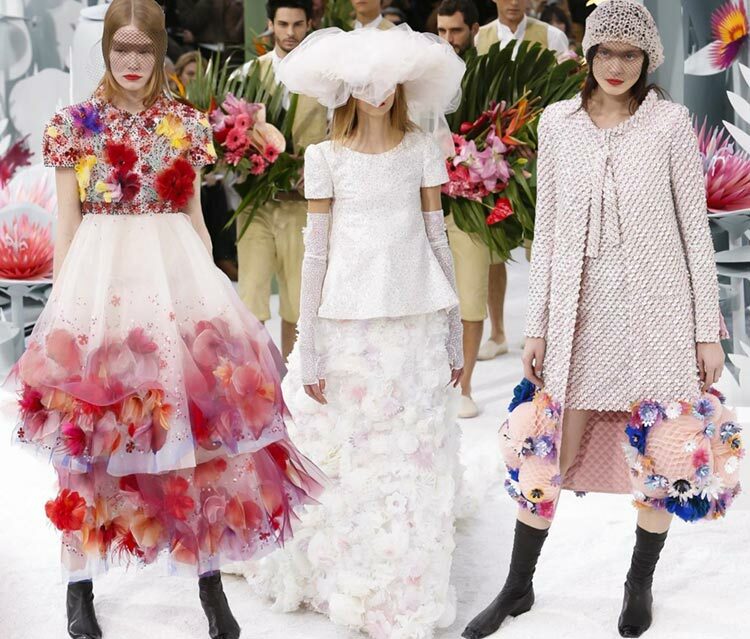 Unveiling his	Chanel Couture spring/summer 2015 collection, Karl Lagerfeld once again managed to make the audience swoon with the drop-dead gorgeous designs showcased and the beautiful backdrop created. 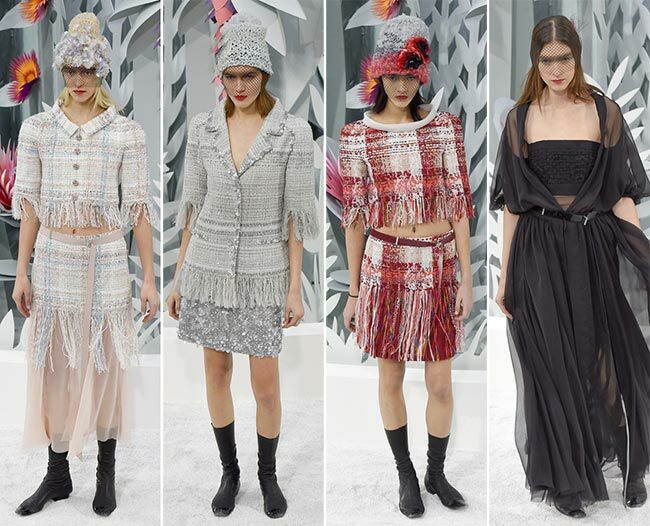 It’s a collection where traditional Chanel staples collide with modern elements and shapes, which turns each and every piece presented into a real work of art that we want to own so much! 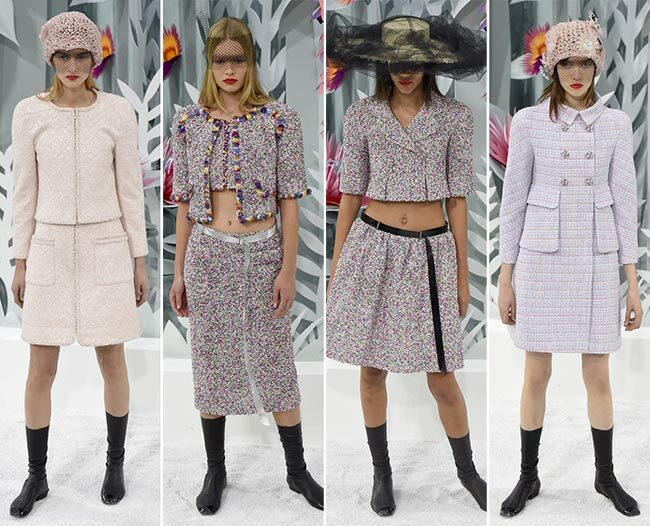 Chanel, the brainchild of the illustrious Coco Chanel, is one French fashion house that’s hard to compete with. Specializing in haute couture and ready-to-wear designs, alongside luxury goods and fashion accessories, the brand boasts a whopping 6+ billion EUR revenue and has become the personification of many an actress and model, including Vanessa Paradis, Nicole Kidman, Keira Knightley and Marilyn Monroe! It’s no wonder that we are currently watching the fashion show take place with bright anticipation shining in our eyes. We are all in love with the amazing Chanel, with its signature little black dress, the Chanel No 5 perfume and those impeccably stylish suits. 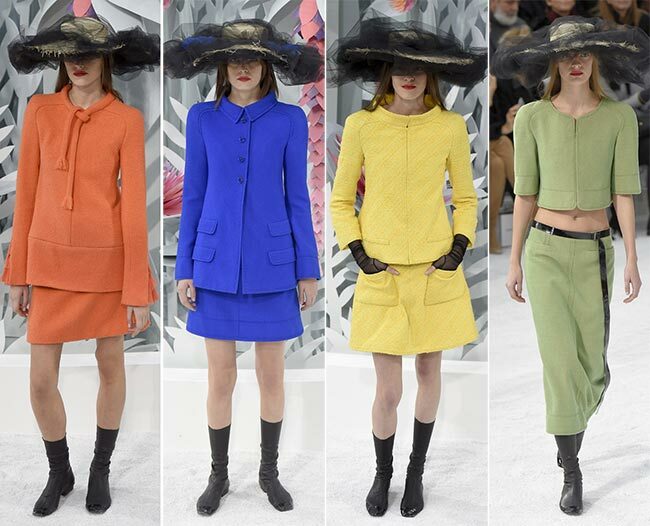 Of course, the first pieces of the Chanel Couture spring/summer 2015 collection are suits, gorgeous orange, cobalt blue and sunflower yellow hues that really embody the spring season. The whole of the catwalk is made to look like a blooming wonderland, transitioning from the winter into the warmer weathers of spring. The shorter midi skirts are a bold move to recreate the typical Chanel suit it has been known for, while the tweed fabric is still as much a statement for the brand as always. The whole of the series tends to focus on either suits with matching woollen bottoms or suit jackets paired with wide A-lined skirts. The trends tend to keep the hemline at a midi level, either above or below the knee, while a few pieces do tend to reach the floor. No dress or suit is seen with a mini hem. We do see some fringe appear, while many of the ensembles feature bared midriffs. 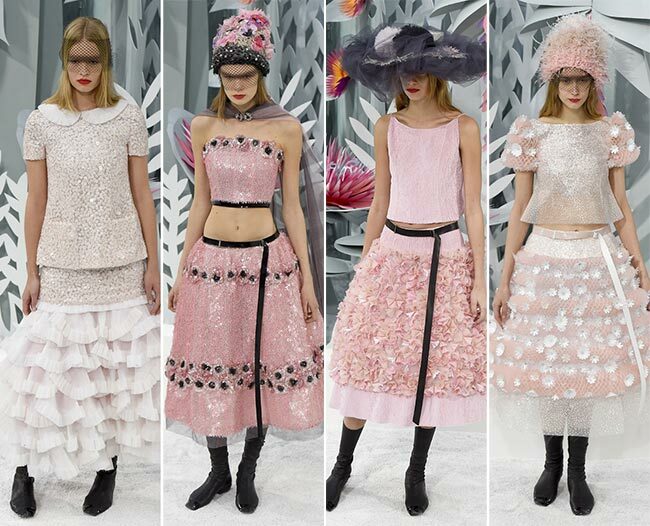 We do see some see through material, as well as a lot of Chanel’s signature tweed line. The colors generally seem to range in the realm of cream, white and black, while blue, yellow, orange, pink, green and red do pop their heads. Primary colors seem to be the thing here for the most part, while keeping to a rather interesting mindset of seeing winter transition into spring. There’s very little summer apparent in the collection, overall. 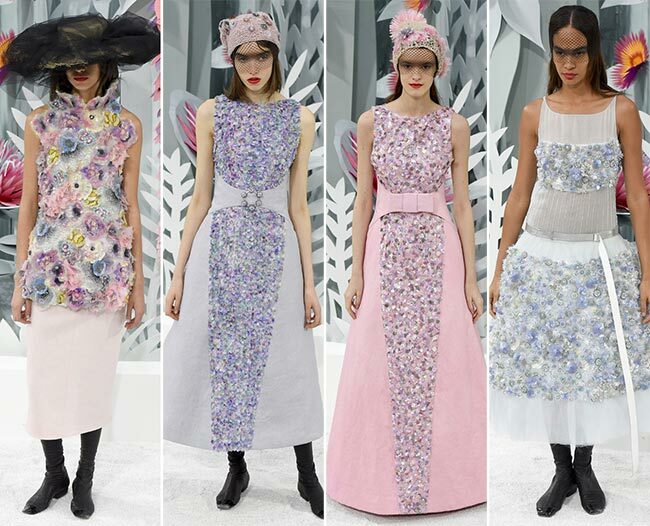 It might do well to mention the boots and the headwear showcased throughout the Chanel Couture spring/summer 2015 collection show as well. There’s something rather masculine about the way the models’ feet are clad in low heeled leather half boots that have neither embellishment nor feminine appeal. They are utilitarian and somehow speak about comfort over impressive style. 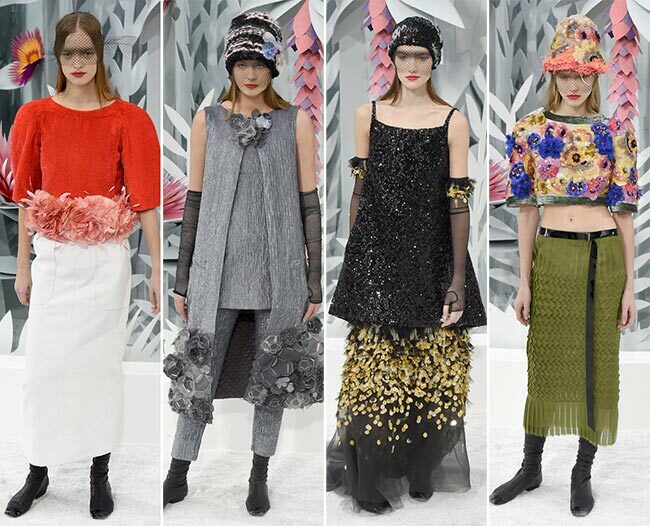 While the footwear remains non-attractive, the amazing array of hats certainly catches the attention and holds on tight. Those wide brimmed straw hats with their tulle weaving giving it a chic appeal certainly go well with those amazing suits, while knit headwear also becomes a focus, what with the half veils semi-hiding the eyes and nose from view. We can clearly see that each piece placed on the head is meant to balance out the strength in the red on the lips that’s so very captivating and adds sensuality to the more European based designs. Mesh veils cover the eyes of most models as they appear on stage to present latest in trendsetting looks. Feathers, flowers, fuzzy spikes and all form of embellishments adorn the hats we see while the tulles used on so many come in black, white, and purple hues. 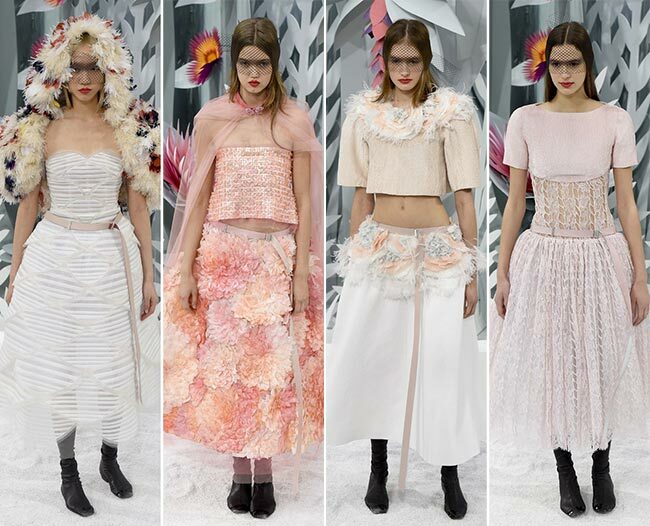 The Chanel Couture spring/summer 2015 collection show has definitely been one fun event to watch and the designs are sure to be seen on the red carpet soon enough!